Nice photo. Was it just taken, and at what lake? I'm in MA and would love to take a photo of something like this for my blog. Wow, you are speedy. I just posted this. It's an old photo from the group of slides my sister just had scanned. 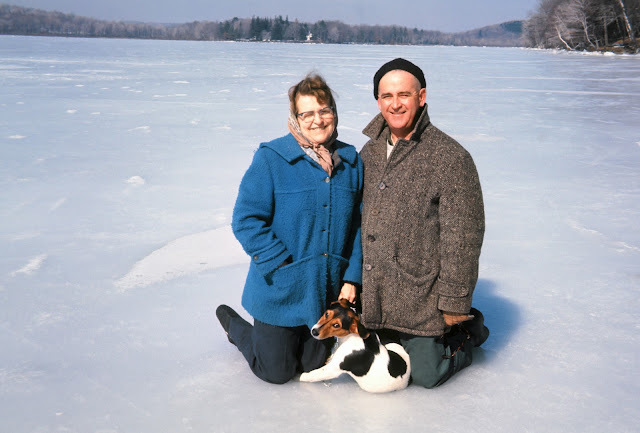 I don't have all of the photo details, but it was taken between 1966 and 1973 either in Connecticut at Bantam Lake or in Maine at Schoodic Lake in Maine. Thank you for commenting.